Do you know what to do in the event of a hazardous spill? People are threatened by hazardous spills more than you may realize. The U.S. averages 34,000 hazmat incidents each year. Over 50 percent of those reports are spills that are less than 10 gallons, so even small spills can prove to be deadly. Hazardous materials can be safely managed, but it requires the proper training of hazmat handlers. So, what should you know about hazardous spills protocol? Whether you work directly with hazardous materials or not, you should know the protocol for responding to hazardous spills. Anyone can be a witness or bystander to an accident involving hazardous materials, so it is best to be prepared for the steps you should take for reporting an incident. 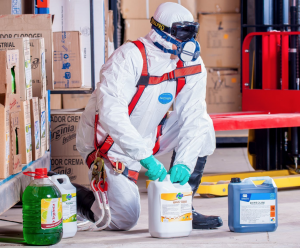 Proper handling of hazardous materials can prevent accidents and save lives. This article will address 9 things you need to know about the safety measures necessary for responding to an accident. For an in-depth explanation and proper training, you should take a hazmat course. Train4Less offers courses that detail what you need to know about hazmat. Click here to take your training for your level of awareness and response responsibility. First and foremost, the priority is for the safety of all personnel. Assess the situation and determine whether or not there are any injuries that require medical attention. WorkSafeWA requires that serious injury, illness, or disease be reported as soon as possible. A 24-hour reporting line ((+61 8) 9327 8800) is available if UWA Safety and Health is unable to be contacted immediately. Once the immediate safety of all personnel is addressed, then the process for confining the hazardous spill can begin. Evaluate the risk and assume the worst case scenario. No matter the level of risk, specific safety measures should be taken. A team leader should make decisions and determine whether evacuation is necessary. Workers should be effectively trained to respond to a call for evacuation. Workers must put on proper safety equipment prior to handling the spill and contaminated area. Once wearing protective wear, Immediately contain the spill. Use materials that are specifically designed for hazardous spill clean up and confine the spill by laying the absorbent socks 4 times the width of the spill. Wear Proper Safety Equipment: Do not assume that a regular mask is sufficient for protecting you from the harmful chemicals that may be inhaled or ingested in a spill. Know how to don and doff a self contained breathing apparatus. Equipment including: gloves, safety glasses, and aprons should be worn regardless of the type of spill. Repair any damage: Determine the source of the leak. Based on the type of leak, employ a temporary repair and follow safety steps for transfering the leak to a chemical-safe container. Decontaminate: Use the right materials for cleaning contaminated clothing and equipment. All clothing must be decontaminated prior to removal. Some toxins are odorless and colorless, so decontamination must be handled with the utmost caution. Certain chemicals can cause harm over time through inhalation. Respirators and containers must also be thoroughly cleaned and decontaminated. Recording and Reporting Hazards:The main objective is to reduce and prevent the risk for accidents in the workplace. Hazards must be identified and reported to the affected area. A Hazard Report Form must be completed in the event an accident or potential threat to safety may occur. Facilities management is in charge of building maintenance and is responsible for addressing hazardous cleanup. The supervisor of the area affected, should call (+61) 6488 2025 or submit an Online Maintenance Request. It is essential that incidents be recorded and documented accordingly, so as to better manage and prevent the risk of future incidents. For legal purposes, it is crucial to have accurate and readily accessible documentation of accidents. OSHA, insurance companies, state agencies, and the EPA all have certain requirements for record keeping, so know your requirements. Take the Train4Less course for your state to learn more. Practice for emergency situations: Training is essential for implementing a hazardous spill plan. DO NOT SPILL CHEMICALS for a practice situation. There are spill kits that can be used for this purpose. Just as you would practice for fire and storm safety by scheduling drills, it is important to be well-versed in the protocol for managing the clean up process of hazardous spills. The type of plan you put in place will depend on the nature of the work-site and chemicals used. Be sure to include in your plan: instructions for what to do in case of a hazardous chemical spill, phone numbers for who to contact, evacuation procedures, and reporting instructions. Remember to replace spill kits for subsequent practices for emergency situations. Review and Evaluate: This is a very important step in the process of improving the health and safety of the public and the environment. Examine the possible causes of the leak or spill to avoid additional accidents. Evaluate the team’s response to the incident and the adherence to protocol. Determine what improvements or considerations should be addressed. Make sure that you and your employees are equipped with the knowledge and educational resources necessary for hazard safety and prevention. 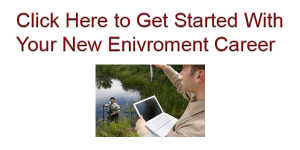 A variety of environmental safety courses are available through Train4Less.com. Courses are readily accessible online and are taught by qualified educators for a great price. Prevention: Proper training for responding to hazardous spills is critical, but ultimately, the objective is to prevent accidents from happening in the first place. The MSDS notes the proper transporting and storing of chemicals. Employees must be educated on the safe handling of hazardous materials and perform routine practices for maintaining safety standards. If you or your employees work with or near a site with the potential for hazardous spills, enroll in one of our courses now and find out how you can promote a safer work environment. A new high-tech greenhouse is getting environmentalist enthusiasts excited!